What’s your Star Wars name? 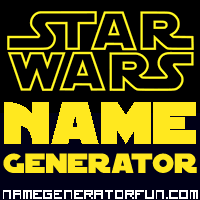 Get your own Star Wars name from the Star Wars name generator! May the 4th be with you, Rebel Scum!